Sweet-flavored products are a favorite snack for the greater part of the world’s population. Some individuals even develop a kind of addiction that makes them gain extra pounds, and then they do not know how to get rid of them. It is a well-known fact that excessive sugar consumption results not only in the accumulation of extra pounds but also in the deterioration of the overall health of the body. The most healthy source of sweetness is natural glucose and fructose featured in fruits, vegetables, and plants. We have provided a more thorough explanation below. Everybody has a secret culinary temptation which he gives into every now and again. Sweets, like chocolate, ice cream, and biscuits, are well-known favorites. It is good to know, however, that they are not as good for our health as we want them to be. The main problem is that they are extremely rich in sugar, which is produced by the refining of natural glucose, sucrose, and fructose. They are the natural plant, fruits, and vegetable extracts. It is best to consume them in their most natural and pure form. Bitter polysaccharides can even have a positive and calming effect on our psyche. Other features include accelerated skin cell regeneration, a boosted immunity, full body detoxification, and enhanced mental and intellectual abilities. The coconut, which is extremely rich in dietary fiber and minerals, belongs to the category of some of the healthiest fruits. It has low to moderate sugar content and can successfully satisfy our craving for sweetness while helping us to maintain a slim and slender figure, as well as a youthful and refreshed face skin outlook. We’ve reviewed some of the fruits that have a high nutritional value below. They can be consumed freely in order to get the required daily dose of sweetness, as well as useful for the body minerals and fibers. Read if you want to know more about sugar and its function in our body. Is Sugar Good for the Human Body? Products that are rich in sugar add a touch of sweetness to everyday life. There is nothing wrong with that if the quantities are moderate. Natural saccharides give our body energy. Refined sugar, however, does more damage than good, as our body wastes more valuable resources and time in an attempt to absorb it. This is why people should eat more fruits that have low to moderate fructose and glucose contents and they will satisfy both their lust for sweet and help their bodies, and the processes going on inside of them, work better. Which are the Best Sugar Goods? Fruits are categorized into several separate groups depending on how much sugar they have in their natural composition. The most useful ones of them are those with a low concentration. After them come those with low to moderate quantities, and the rest we should strive to consume less often. Fruits with a Low Sugar Concentration (The Most Nutritional): Wild berries (blackberries, raspberries, blueberries), lemon, lime, avocado, and rhubarb. Fruits with a Low to Moderate Sugar Concentration (More Healthier Than the Others): Coconuts, peaches, nectarines, grapefruits, apples, apricots, guavas, strawberries, papayas, melons, and watermelons. Fruits with a Medium to High Sugar Concentration (Intended for Moderate Consumption): Pineapples, Pears, Plums, Kiwis, and Oranges. Fruits with a High Sugar Concentration (Consume As Rare As Possible): Figs, bananas, grapes, mango, pomegranate, cherries, and tangerines. Keeping a healthy diet plan and engaging in regular physical activity are recommended for everyone but we do not always have enough time for them in our hectic daily routine. If you want to enjoy being in a top shape and having a thin waistline, you no longer need to forget about your favorite type of chocolate. 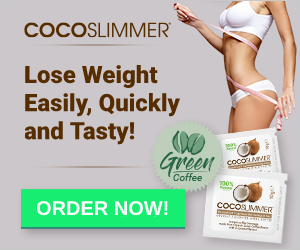 Take a hot cup of CocoSlimmer coconut slimming coffee and feel saturated and energetic during the whole day! There are some basic principles of healthy eating, which are good to observe strictly if we want to have a strong health and a robust attitude every day of the week. Eating lots of fruits can be beneficial for the body, it can also become detrimental if we do not do it properly. The biggest mistake most people make is to consume fruits as a dessert right after the main meal. They are rich in glucose, fructose, and sucrose and our body requires more time to break them down and absorb the healthy nutrients. They are rich in digestive enzymes and it is better to take them early in the morning on an empty stomach. This way our bodies will have plenty of time to absorb them completely. It needs about an hour to do it properly. It would even be best if we let it rest for about two hours after consuming the nutrients before we move on to our next meal. Natural Sugars – A Good Source of Energy! Consume fruits with care and attention as they are a gift from nature and a vital source of energy for our bodies. Eat them properly and try and keep yourself informed about the best and the worst combinations between them. This will ensure the mens sana for your corpore sano! I love eating fresh fruits in the morning! I guess that sometimes our bodies can identify what they need the most all on their very own. Thanks for the useful tips, I will try and apply some of them! Hey, this article is great! I would like to know what else does the CocoSlimmer coconut-flavored coffee feature, other than coconuts? Are its ingredients completely natural? Thanks in advance for the info!